I designed this shawl for my boss’ wedding. She is a very important person in my life and I wanted to make something truly special for her. 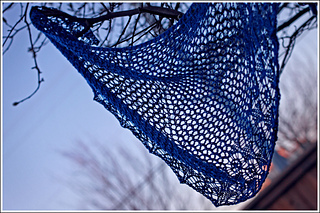 I decided to take the plunge and design my first shawl. 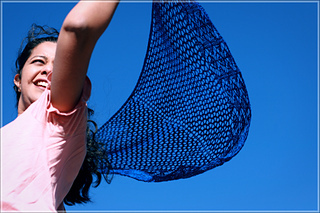 The full square version is designed in top down raglan style using DK weight yarn and larger needles, which provides drape to the mesh body. 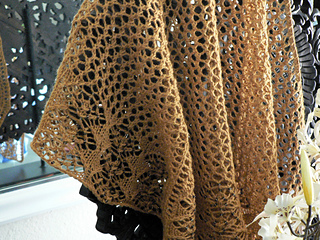 The lace border and yarn add interest and character to the piece. 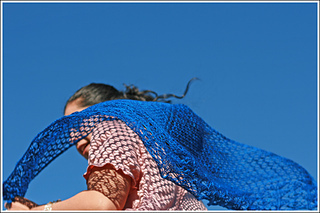 It will stretch a great deal with blocking, which should be accounted for when deciding on the final length. 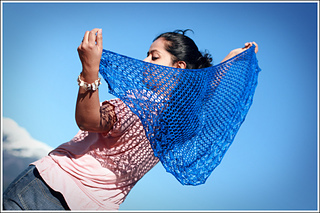 Instructions and schematics are given to work shawlette or triangular, trapezoidal, or full-square shawl version. Pattern also includes chart for body and border. 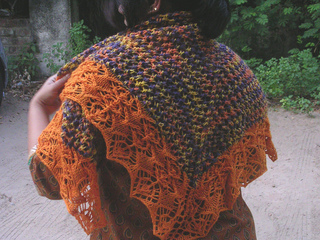 The pattern pdf has 6 pages including instructions, chart and schematics. 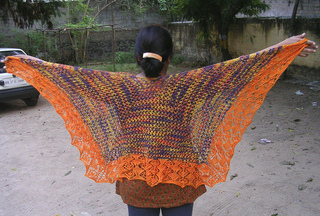 It also contains pictures of each shawl shape worked in various yarn and needle sizes. For more information or questions please send me a message on ravelry or an email (given in pattern pdf). The full-square version I knit, used Tosh DK(Fawn) and US 11(8mm) needles. 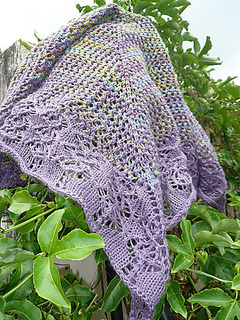 The shawlette version used Artist’s Palette Yarns Damsel Plus(DP1014) and US 6 (4mm) needles makes a smaller shawlette. Pattern has been test knit and tech-edited.